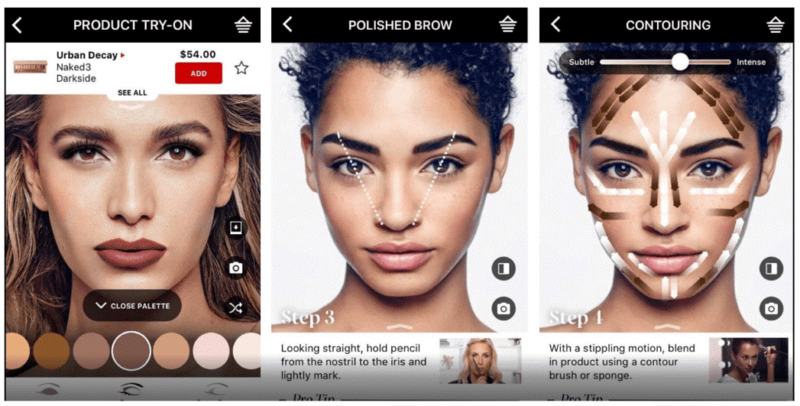 Sephora and Artificial Intelligence: What does the future of beauty look like? At the 2018 World Retail Congress, Sephora was named Retailer of the Year for 2017. How has Sephora been able to grow its retail presence during a time when retail as an industry is declining? One explanation is Sephora’s use of artificial intelligence (“AI”) to create an omnichannel retail approach. By investing in AI, Sephora has created a seamless experience for the customer across both digital and retail outlets. 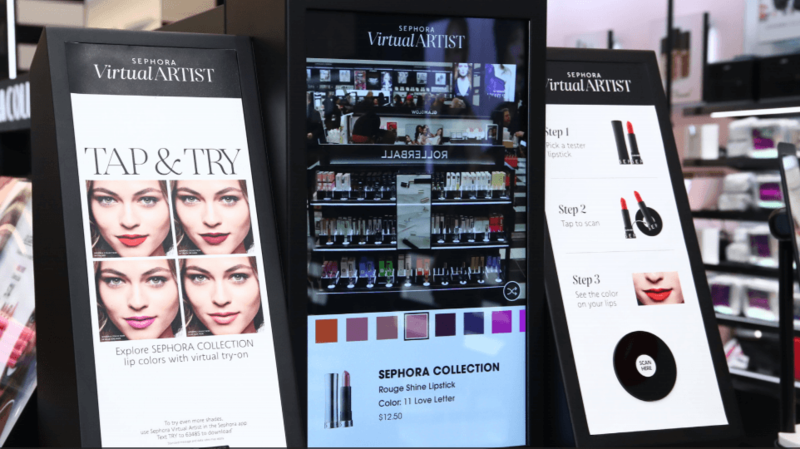 Going forward, Sephora needs to continue to focus on its digital innovation lab and leverage ways in its stores and through its app to constantly experiment with new technology. One example for how they could do this is to build out personalization technology for skincare, not just makeup. Sephora has started to segment skincare products on their website based on purpose but they don’t have anything that is personalized like the Visual Artist or Color IQ to recommend products. Whether this is further personalization, curated events for the customer or improved technology that provides customer recommendations, Sephora needs to continue to be focused on what will drive the customer into the store for retail to truly succeed long term. LVMH, “News”, https://www.lvmh.com/news-documents/news/sephora-named-retailer-of-the-year/, accessed November 2018. Sephora, “About Us”, https://www.sephora.com/about-us, accessed November 2018. Stephanie Pandolph. “AI in E-commerce: How Artificial Intelligence Can Help Retailers Deliver the Highly Personalized Experiences Shoppers Desire”, August 2017. Business Insider Intelligence, accessed November 2018. Stephanie Pandolph. “Sephora leads the way in personalization — Airbnb adds restaurant reservations — Wayfair brings AR tech to iPhone”, September 2017. Business Insider Intelligence, accessed November 2018. “How Sephora is leveraging AR and AI to transform retail and help customers buy cosmetics”, Tech Republic, https://steepnews24.files.wordpress.com/2018/02/sephora_cover_story_final.pdf, accessed November 2018. First Look: Inside Sephora’s New Innovation Lab, March 5, 2015, Fast Company, www.fastcompay.com. Why Sephora merged its digital and physical retail teams into one department, April 6 2018, Digiday, www.digiday.com, accessed November 2018. Interesting to see the tremendous growth in revenues through the AI based tools. However, my guess is that skin care is something that customers would want to try on actually (and not only virtually). Here, the AI / ML capabilities hit a fundamental hurdle, and that’s where the retail experience at stores can fill in this gap. I think removing the retail stores may not be a great idea due to the tactile nature of the product, but there is definitely some room to augment retail stores more compact. Very interesting piece LG, thanks for your insights. What Sephora is doing with AI is a great way to remain competitive in today’s crowded cosmetics industry. It seems like maintaining an effective omni-channel infrastructure is critical to staying relevant, and this type of innovative AI is a great way to engage millennials. Incorporating tools such as Visual Artist and Tap & Try into its stores appears to be an effective way of keep Sephora’s brick & mortar fresh and relevant. I think that there will continue to be a need for physical stores, in part because trialability is very important for consumers with respect to cosmetics products, but also because stores are an important element of the omni-channel strategy. 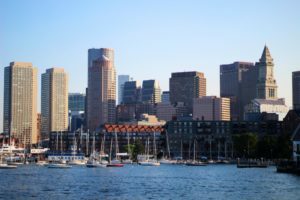 A number of retailers have experienced a decline in online sales in the nearby area when they have closed brick and mortar stores. This is largely because customers value the interaction between e-commerce and physical stores (i.e. ability to pick-up in store, exchange in store and try in store before buying online). As a result I believe stores will continue to be an important distribution channel for Sephora. Very interesting application of artificial intelligence. The premise of the program does remind me, however, of the Dove “Evolution” ad, where a woman was digitally transformed into an almost unrecognizable, super-model version of herself via makeup and digital editing. Though this was certainly the extreme case, I worry that the digital application of these products might not be as accurate or dramatic as the actual application of the products, thus disappointing customers and harming the brand. Finally, the Color IQ scale also give me pause, as the rating of skin colors along a scale could lead to horrible PR and social backlash depending on how it is carried out. This is a really interesting essay, LG. As a man who has never used make-up, I’m curious to learn about how comfortable women are with the idea of buying make-up (for example foundation) without actually trying it on first. Additionally, I would also be interested in looking at data to see the percentage of women that are satisfied with a specific foundation type that was recommended to them by AI. I’m also curious to understand how Sephora is using AI keep track of its customers when they are inside their stores (which is much more difficult) than when they are shopping online. I think I’ve used colour IQ the last time I went to a Sephora store! I really liked that the machine told me what I should buy based on my skin tone, type, and what I was looking for – it felt a lot more objective than when a sales person recommends something, because I always wonder if they’re recommending it because they get a higher commission compared to another product. That said, I fully recognize that this higher commission or special promotion could be baked into the Colour IQ code, but it just feels more objective because it’s a machine making the recommendations rather than a human! Sephora is definitely at the forefront of beauty retailers. They create an incredible shopping experience which is why I’m such a loyal shopper. Personalized product recommendations are extremely helpful — in the beauty space, it is hard to figure out which new products to try because there are so many brands, it’s hard to understand which products are right for your skin type/color, and reviews online are often contradictory. I really like the idea of using data to power this especially since these recommendations do not feel too sales-y. This was a fascinating read — I, too, wonder how Sephora will overcome the challenges posed by the testing retail industry. While I realize that customer engagement is critical, I wonder if the AI investments Sephora will only “pay off” by delighting existing, loyal customers. In other words, I am skeptical of this technology serving as a point of differentiation in the eyes of new, non-loyal customers. I believe Sephora has an opportunity to expand its AI efforts and focus on how it can not only enable engagement, but also awareness and acquisition. This was an excellent article. Although not the target demographic for Sephora, I have shopped in these stores for gifts. From the unexperienced shopper’s perspective, these stores can be daunting and overwhelming because of the sheer amount of SKUs and variety of options. I find that the value in AI/ML will be parsing through the intense amount of data that inundates consumers today to find targeted solutions that consumers find valuable. This, along with targeted media (e.g. make-up tutorials, videos, tips), will continue to create a stronger sense of brand loyalty to Sephora. Further, there is value in the retail experience, for example trialibilaity and awareness. 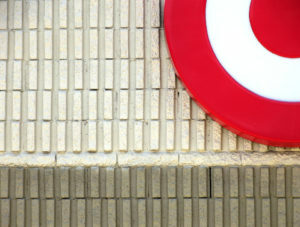 My biggest concern is finding the right balance between the retail and online experience. Great insights on Sephora! My thoughts on the future of retail vs. digital…. Brick & mortar has a big role to play in Sephora’s future, but the key is quality over quantity. My guess is that not all of the 2,300 stores worldwide boast the same quality of in-store experience, so I would advocate to consolidating brick & mortar to flagship cities, key emerging markets, and travel retail POS’s (ex. airports). At each of these locations, I would integrate AI experiences (like those detailed above) so create the best possible physical experience of the brand for the consumer. A great quote to keep in mind from our Kiehl’s case in Marketing is “the store is the new media, and the media is the new store.” In other words, Sephora should rely on brick & mortar as its #1 marketing effort to consumers, and rely on its digital channels for sales. I thought this was an interesting read, but I’m conflicted on whether this use of ML makes sense for Sephora. On one hand, ML reduces the seemingly infinite amount of choices for makeup, and it seems like a genuinely good user experience for someone trying to buy makeup. On the other hand, it seems really creepy to have an ML program (which is basically an excellent pattern matcher) decide how women should look. We already have a huge amount of social norms for women’s appearances, and an ML program won’t be able to discriminate between what is healthy or unhealthy. After this week’s Dove case, it’s hard not to feel skeptical about Sephora’s approach. Very interesting article! It was fascinating to read how Sephora is leverage AI to make more personalized recommendations to consumers. While reading this, I wondered what the risks are associated with the reliance upon AI. For example, I could see how a computer might recommend a product that would cover up a beauty mark on ones face. While it might be considered “imperfect” to a machine, it could be offensive to the consumer if Sephora hones in on that feature. This could be extended to sensitives around skin-tone and race as well. Sephora will need to ensure they put safeguards in place so they do not inadvertently offend or turn off their consumers. These are mistakes that a human would likely not make (as they’d rely upon good judgement) but are difficult to teach a machine powered by AI. Great article! I share the concern that brick and mortar may lose its significance in Sephora’s omni-channel strategy – foot traffic will likely decline as the in-app technology becomes more sophisticated. One suggestion for Sephora is to link the in-app technology with an experiential in-store offering. For example, brides (more broadly, women heading to a cocktail event) can design their wedding makeup at home, testing out the right foundations and lip colors in the app, and once they’ve settled on a look, they can visit the store for the makeup artist to execute. Essentially the road to sustained/growing foot traffic will be to play up a more high touch in store experience.